Guard your children & pets as you protect your pool. 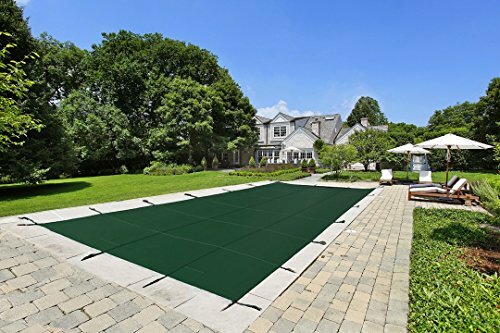 Durable, long-lasting Dirt Defender covers are strong enough to support your entire family, yet light enough to put on or remove from your pool in five minutes or less. These premium covers are made of super-strong two-ply mesh with a break strength of over 4,000 lbs. 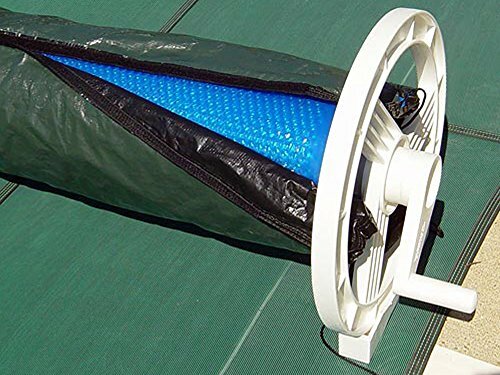 During use, the cover is held in place with brass anchors that recess flush with your pool deck when the cover is not in use. Rest assured that your children and pets are protected from accidental drowning. 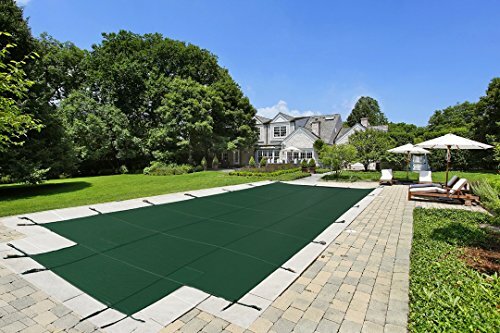 In addition to its safety features, Dirt Defender safety covers afford excellent winter protection for your pool. Its fine, lightweight mesh allows rain to seep through but screens out leaves and debris. Spring clean up is a snap because no water collects on the cover. The cover comes complete with brass anchors, stainless-steel springs, installation tool and storage bag. Safety Cover Replacement Part. These are Retractable Swimming pool safety cover brass anchors designed for use with inground swimming pools. 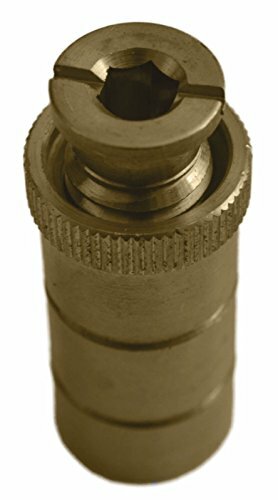 The top of the anchor has an octagon allen head hole for screwing the anchors into and out as they are needed. This type of anchoring system is used on tarps or covers to give the cover a trampoline effect. Extra anchors are sometimes used on either side of a diving board or pool ladder. These inserts are not affected by pool chemicals. This type of anchor can not be used with wood decks. 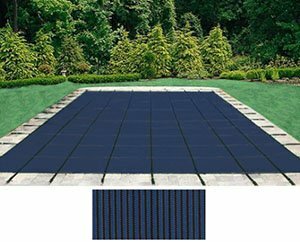 The Yard Guard Deck-Lock System is the latest in pool cover technology. The Deck-Lock cover is made of high quality mesh and reinforced webbing both top and bottom on every seam protected by rub strips. If you want the best for your pool, Deck-Lock is it. Features & Benefits - White thread (triple stitching) cross tack & box tack at all perimeter stress points. - Straps run on both top and bottom of the cover for added strength. - Raised rub strip to prevent chafing on coping. 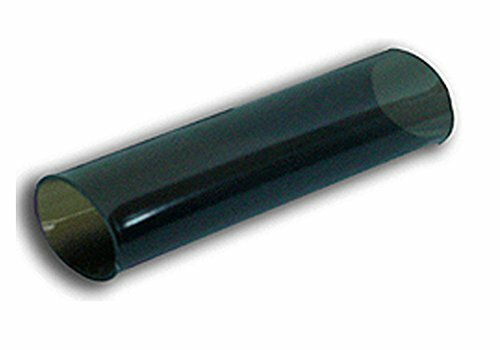 - Porous, tight mesh, giving the maximum of strength. - Reinforced webbing top and bottom on every seam and around the perimeter. - All covers are manufactured by the most modern of equipment including a computerized cutting and shaping system. - All Covers throughout every stage of production are quality checked and signed for before final packaging. All hardware is prepackaged in individual poly bags. Each bag (or set) includes the brass plug, brass screw, spring buckle, and vinyl, sleeve. - This cover is a rectangle - The Yard Guard Deck-Lock System by HPI is the latest in pool safety cover technology. 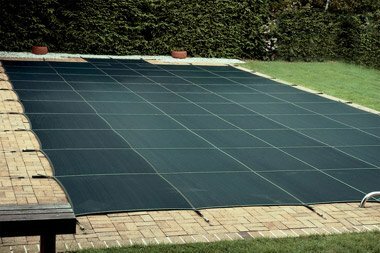 The Deck-Lock pool safety cover is made of a high quality mesh and reinforced webbing both top and bottom on every seam protected by rub strips. If you want the best for your pool, Deck-Lock is it. All hardware is prepackaged in individual poly bags. Each bag (or set) includes the brass plug, brass screw, spring buckle, and vinyl, sleeve.